VANCOUVER/BEIJING (Reuters) - The daughter of Huawei's founder, a top executive at the Chinese technology giant, was arrested in Canada and faces extradition to the United States, stirring up fears it could reignite a Sino-U.S. trade row and roiling global stock markets. The arrest of Meng Wanzhou, 46, who is Huawei Technologies Co Ltd's chief financial officer, threatens to drive a wedge between the United States and China just days after they agreed a 90-day trade war truce in Argentina on Saturday - the day she was detained. Meng's arrest, revealed late on Wednesday by Canadian authorities, is related to U.S. sanctions, a person familiar with the matter said. Reuters was unable to determine the precise nature of the possible violations. 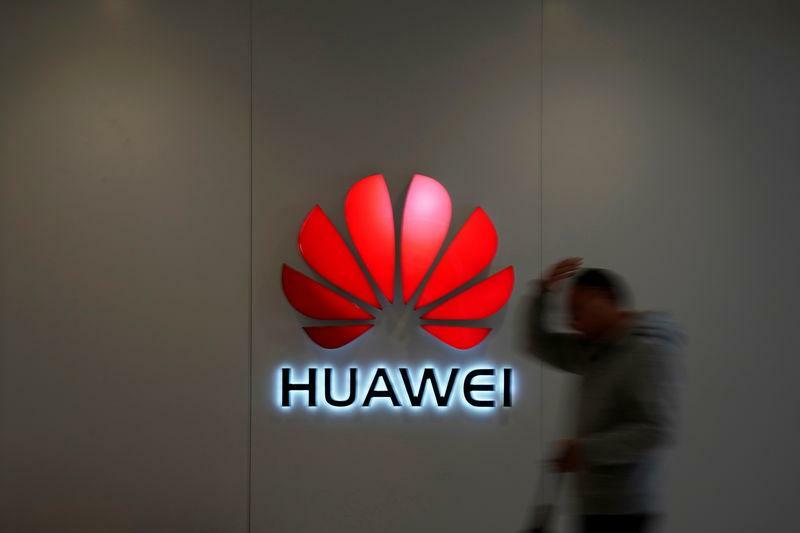 People familiar with the matter told Reuters in April that U.S. authorities have been investigating Huawei, the world's largest telecoms equipment maker, since at least 2016 for allegedly shipping U.S.-origin products to Iran and other countries in violation of U.S. export and sanctions laws. The arrest and any potential sanctions on the world's no. 2 smartphone maker could have major repercussions on the global technology supply chain. U.S. and Asian shares tumbled as news of the arrest heightened anxiety over prospects of a collision between the world's two largest economic powers, not just over tariffs but also over technological hegemony. Huawei is not listed, but China's second-largest telecom equipment maker, ZTE Corp, sank nearly 6 percent in Hong Kong while most of the nearby national bourses lost at least 2 percent. U.S. stocks also started lower, with the Dow Jones Industrial Average down 1.16 percent, the S&P 500 down 1.35 percent and the Nasdaq Composite down almost 2 percent at the opening bell. Investors rushed to the safety of government debt, pushing the yield on the U.S. 10-year Treasury note back below 2.9 percent to its lowest level in three months. Huawei is already under intense scrutiny from Washington and other western governments over its ties to the Chinese government, driven by concerns it could be used by Beijing for spying. It has been locked out of the U.S. and some other markets for telecom gear. Huawei has repeatedly insisted Beijing has no influence over it. Meng, one of the vice chairs on the company's board and the daughter of company founder Ren Zhengfei, was arrested on Dec. 1 at the request of U.S. authorities and a court hearing has been set for Friday, a Canadian Justice Department spokesman said. Trump and Xi had dined in Buenos Aires on Dec. 1 at the G20 summit. Huawei, which generated $93 billion in revenue last year, confirmed the arrest. "The company has been provided very little information regarding the charges and is not aware of any wrongdoing by Ms. Meng," it said in a statement. She was detained while transferring flights in Canada, it added. Chinese foreign ministry spokesman Geng Shuang told a daily briefing on Thursday that China had asked Canada and the United States for an explanation of Meng's arrest, but they have “not provided any clarification". The Chinese consulate in Vancouver has been providing her assistance, he added, declining further comment. On Wednesday, China's embassy in Canada said it resolutely opposed the arrest and called for her immediate release. In April, the sources told Reuters the U.S. Justice Department probe was being handled by the U.S. attorney's office in Brooklyn. The U.S. Justice Department on Wednesday declined to comment. A spokesman for the U.S. attorney's office in Brooklyn also declined to comment. "If someone from the United States is hoping to use threats to an individual’s personal safety in order to add weight in the talks, then they have most certainly miscalculated," he said. Arthur Kroeber, founder of Gavekal Dragonomics, said Beijing was unlikely to retaliate against the U.S. business community in China because its interests have partly overlapped with China’s in the trade war, giving Beijing some leverage. Jia Wenshan, a professor at Chapman University in California, said the arrest "runs a huge risk of derailing the U.S.-China trade talks." While Meng's arrest comes at a delicate time in U.S.-China relations, it was not clear if the timing was coincidental. The probe of Huawei is similar to one that threatened the survival of China's ZTE Corp, which pleaded guilty in 2017 to violating U.S. laws that restrict the sale of American-made technology to Iran in efforts to curb Tehran's missile and nuclear programs. Earlier this year, the United States banned U.S. firms from selling parts and software to ZTE, which eventually paid $1 billion as part of a deal to get the ban lifted. Huawei has said it complies with all applicable export control and sanctions laws and other regulations. News of the arrest came the same day Britain's BT Group said it was removing Huawei's equipment from the core of its existing 3G and 4G mobile operations and would not use the Chinese company in central parts of the next network. In January 2013, Reuters reported that Hong Kong-based Skycom Tech Co Ltd, which attempted to sell embargoed Hewlett-Packard computer equipment to Iran's largest mobile-phone operator, had much closer ties to Huawei than previously known. Meng, who also has used the English names Cathy and Sabrina, served on the board of Skycom between February 2008 and April 2009, according to Skycom records and several other past and present Skycom directors appear to have connections to Huawei. Meng's arrest drew a quick reaction in Washington. U.S. Senator Ben Sasse praised the move and said that it was "for breaking U.S. sanctions against Iran." He added: "Sometimes Chinese aggression is explicitly state-sponsored and sometimes it's laundered through many of Beijing's so-called 'private' sector entities."